We live in a fast world. And whether we like to or not, we must keep up. Things change, situations change, even life changes in a split second and if we don’t respond effectively, we pay the price. Plain and simple. So, what happens when a sudden, unexpected expense demands access to funds you don’t have? One-half of your mind panics, while the other tries to come up with a solution. Here’s what you need to know. You may think of approaching friends and relatives for a quick loan but you risk jeopardizing the relationship. Your friendly neighborhood bank may not turn out to be your friend after all. Their structures and policies prevent them from approving you a loan in less than 7-10 business days. That’s nowhere near what Quick Loans mean, right? Moreover, if your credit is not up to scratch, you may not even stand a chance of being approved. The lender across the street may entice you with the promise of Fast Loans or Emergency Loans. They’ll use any kind of hook. But here’s how they operate. They prey upon your vulnerability and need. They’ll loan you hard cash up front with the signed promise that you’d pay back $21 for every $100 borrowed. On your next salary! 14 days from now! To pay it back, you may need to take on another fast loan. Or emergency loan as they call it. Loan Away is an online-only private lender not hampered by bureaucracies. Nor controlled by the desire to exploit. At Loan Away, the focus is on you. Your need. And the urgency. You fill out the Instant Loan application here. Won’t take you more than 8 minutes. Our system is so configured that, if your eligibility criteria are in order, it’ll pre-approve you there and then. Which means you’re already in with a chance of pulling yourself out of your crisis. Meanwhile, professionally-trained online agents take up your case in real time and rush it through the final stages of the approval process. Perhaps a phone call, or two. Poor credit could be overlooked. In as little as 4 hours you could be approved for up to $5000. Your funds could be in your account in as little as 24 hours. You pay it back in installments, like in 36 months, if you so choose. The interest rates would be a mere fraction of what "scam" lenders would charge you. You’ve effectively responded to the crisis. Without jeopardizing your future financial well-being. And, like they say, you now have a story to tell. Money Loans from Loan Away up to 5000 CAD are here. Flexible payments schedule, no hidden fees, and professional online support guaranteed. Canada's TOP! Searching for emergency loans, many people turn to private lenders and ask for fast loans or select pawnshops. 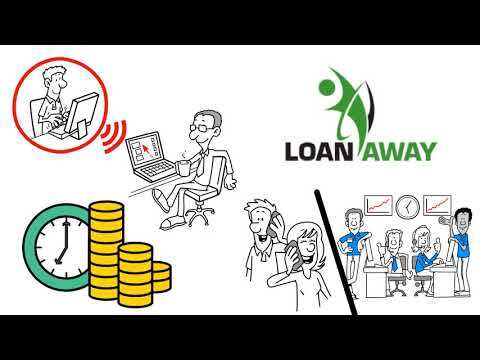 Here at Loan Away, we offer cheap loans for people with all credit histories. Learn more about fast online loans express services from Loan Away. Apply for a quick loan and get pre-approved in 20 mins. Up to $5000! comExperiencing financial difficulties? Get Express Cash loans online ($5000, $4000, $3000, $2000, and $1000) without any hassle. Today you can apply for express loans without leaving your home! All you need is a computer or a mobile device with Internet access. Personal Online Loans are consumer loans that are issued online. You can get the required cash amount within 24 hours form Loan Away with no hassle at all. Owning a credit card comes not only come with numerous facilities and conveniences but also with certain responsibilities. 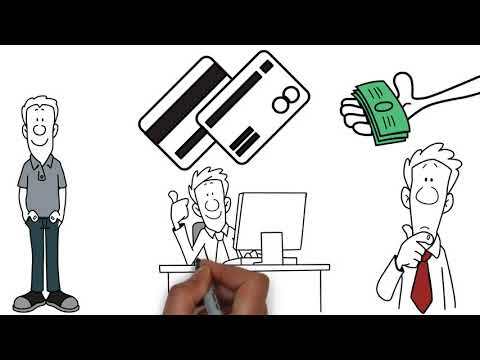 Watch this video to discover some handy credit card tips and tricks. When you need a loan and you need it fast, banks are never the best option. Firstly, they need collateral and good credit history. Secondly, the approval takes forever. So what should you do? We have a solution for you in this video.